You may have been wondering what has been going on for the past few weeks of silence, eagerly awaiting to hear what will happen next to Vasa, Ypres, Cousin Andrew, and Madison. The answer is that I have been hard a work on a (pleasant) surprise. Vasa and Ypres’s first full-length adventure, Vasa and Ypres: A Mayfair Conundrum, is now available in paperback on Amazon. By choosing to buy a copy in e-book format or in print, you directly support the continuation of the Vasa and Ypres series. Don’t forget, you can also make a donation on the blog’s main page. 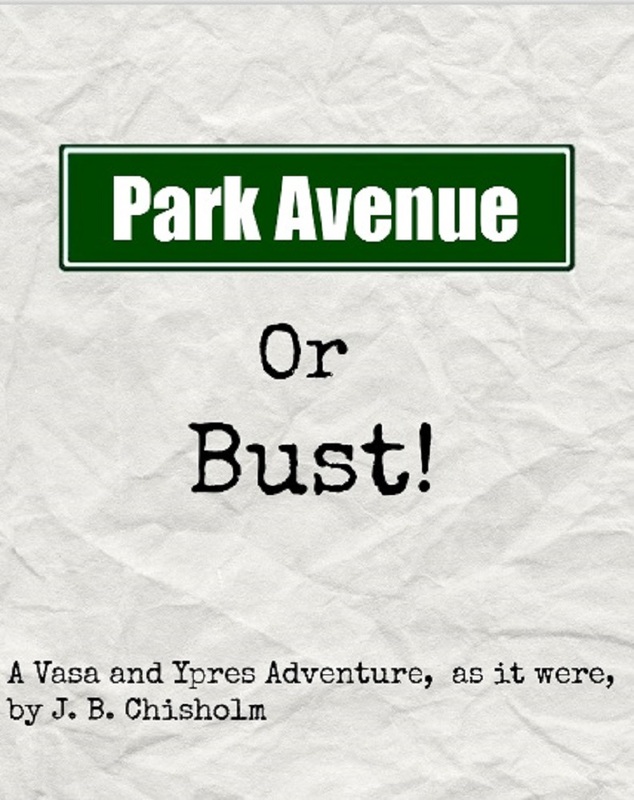 Stay tuned, as new chapters of Park Avenue or Bust will be published soon. Gosh! Sorry to have missed this post until now. I know what I was doing around that date, and can understand why my oversight, but that’s no excuse. Good luck with sales. Delighted you have found my blog Books: A Revue. And delighted to have found yours. Expect to be cracking wise this week again. And I am also on Voolavex.com where I am ever more vile. Take a look all the best on your print novel. Congratulations on releasing your book! I hope the sales exceed your expectations. Thank you for visiting my book review blog earlier and liking my review of Wives and Daughters. I hope to see you there again! To J.B. thanks for checking out a recent post. I’m glad you enjoyed it. I appreciate it. Happy to oblige 🙂 Thank you for your continued support!